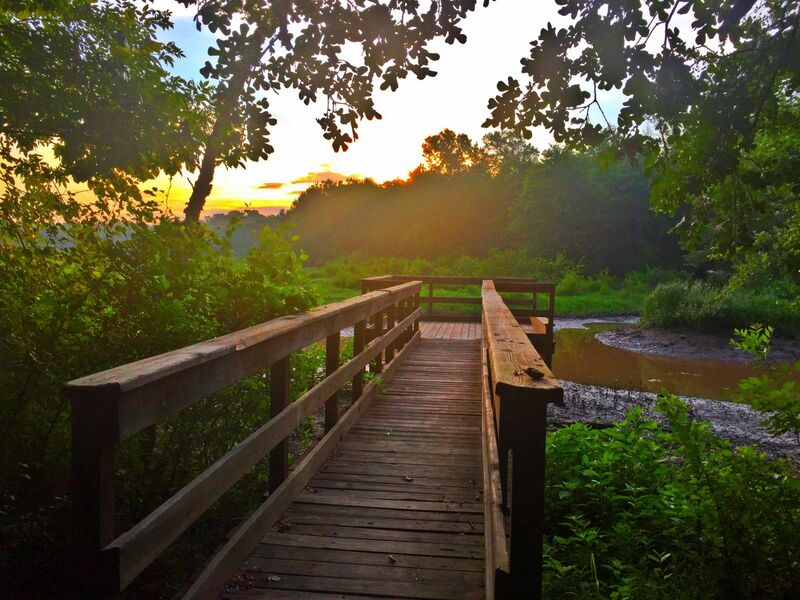 Cussetah Bottoms Boardwalk and Trail is built through the bottomland hardwood forest that surrounds the Deep Fork River in east central Oklahoma. The boardwalk is approximately 1200 feet long. There are asphalt trails in the surrounding area that provide access to other parts of the refuge for wildlife viewing. Location: Deep Fork National Wildlife Refuge, southwest of Okmulgee, Oklahoma. The address for the boardwalk is 21844 S. 250 Road, Okmulgee, OK 74447. From Okmulgee, OK take Highway 75 South approximately 6 miles to Lavender Road. Turn left (east) onto Lavender and travel approximately 1 mile to the T-intersection. Turn left (north) and travel approximately 2.25 miles to to boardwalk parking area. The parking area is located next to the refuge headquarters building. Take a stroll through lush bottomland hardwood forest that leads you over a quietly running creek and into the wetlands. Here prothonotary warblers flit amongst green leaves, while whitetail deer rest among large pin oaks that have blanketed the land for close to 100 years. The trail begins as an asphalt trail that is easily accessible from our gravel parking lot, and meanders into the woods on a gently sloping walkway. A wooden boardwalk completes this trail, where you are lifted out of the wetlands to easily survey the nature below. Two wetland overlooks give ample viewing of this unique Oklahoma ecosystem, and birds such as red shouldered hawks, great egrets, and several different species of heron feeding on crawfish are readily seen. Along the way, information panels guide you on a natural journey, and there are plenty of benches to catch a quiet moment surrounded by nature. A wildlife viewing blind is also available for public use, and there are several miles of unimproved trails that lead back to the Deep Fork River, although these trails have seasonal access dependent on factors. Please call ahead to verify that the trails are open. Educational groups are welcome to come explore the boardwalk, and our staff regularly partners with school groups to introduce children to all that nature has to offer. 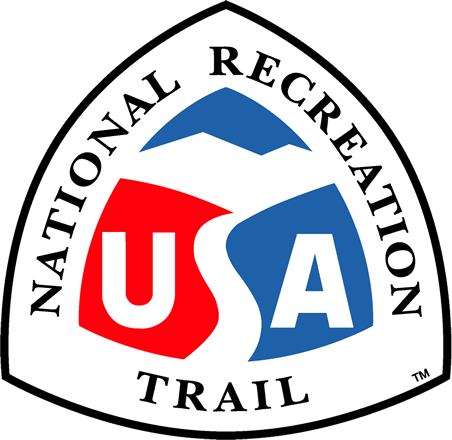 If you are interested in bringing a group out to the trail, please give us a call so we can discuss your future visit.